“Give a girl the right shoes and she will conquer the world.” Whether it was Marilyn Monroe or Bette Midler who said it, it’s still the case today. Well, at least as long as we think we know what to expect when it comes to footwear. 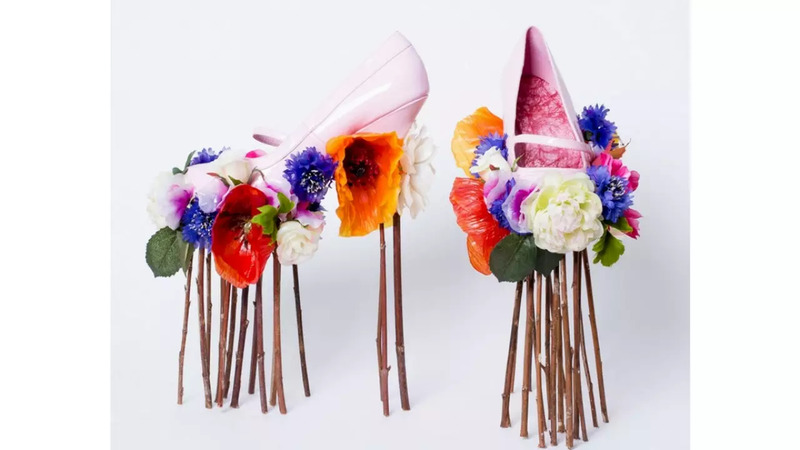 The Virtual Shoes Museum, based in The Hague and the Műcsarnok in Budapest have joined forces to create a shoe exhibition and it certainly makes you look twice. Forget about loafers or traditional platforms, don’t expect brogues or slingbacks, nor kitten heels with a touch of Audrey Hepburn’s chic. Balancing on the thin line between fashion and art, a handful of artists and designers went a little crazy in order to open people’s eyes to a wider perspective on shoes. The exhibition called Shoe Magic (currently open in Budapest) aims to make us leave conventional ideas behind and present some experimental footwear from a different era. Artists and designers from various countries expressed their own view on shoes and contributed by creating unique artwork or a sculpture. 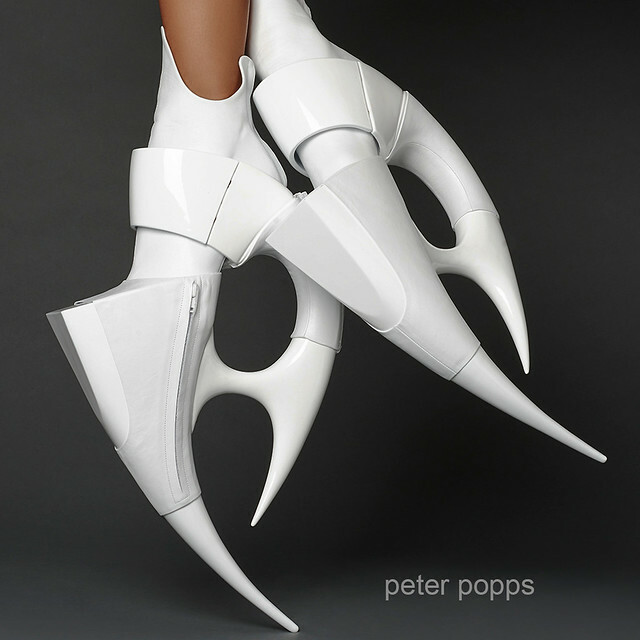 Or even a limited edition haute couture shoe, for example, designed by the famous architect Zaha Hadid. 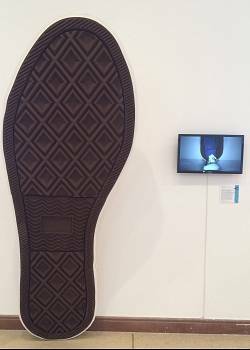 The wide range of articles on display includes a critical video from architect and media artist Anna Vasof, complete with a sports shoe sole the size of Michael Jordan. There is also a hand/shoe sculpt of Ap Verheggen, who is well-known for using art and technology in experimental combinations as well as his work on social and environmental issues. Each piece has a different approach to the subject; from unconventional shoe materials to the future of shoe-making and above all the role of the footwear we know today.